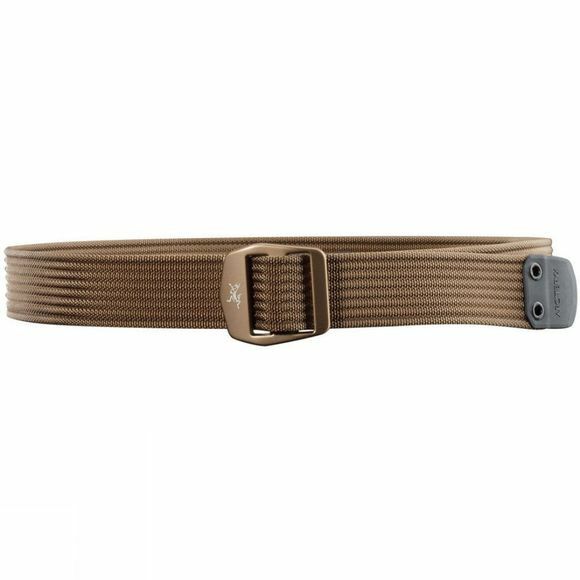 The Arc'teryx Conveyor belt is a Heavy duty, textured webbing belt with contrasting colour stitch detail and a metal buckle with the Arc'teryx logo. Ideal for keeping your pants up. Belt lengths: Small = 43 inches/109 cm, Medium = 45.5 inches/116 cm, Large = 49.5 inches/126 cm.